Fashionable Heart: LUSH Twilight Bath Bomb Review & New Layout! 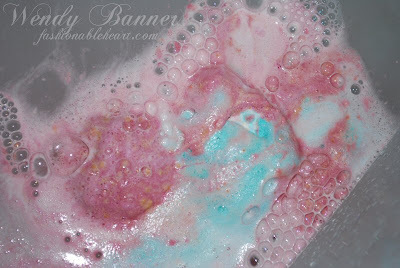 LUSH Twilight Bath Bomb Review & New Layout! Well first off, I'm cheesy. I've been planning on reviewing the Twilight bath bomb and figured I would wait until today since the new Twilight movie came out. ;) You can go see Breaking Dawn Pt. 1 and then come home and melt away into a bath! Secondly, I changed up the layout on here last night. Hopefully it loads properly for everyone. 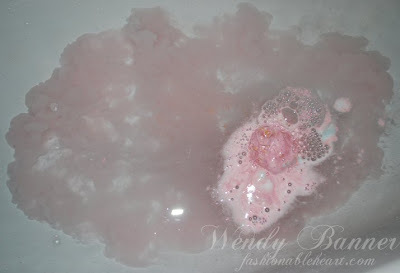 ^ When you first put the bath bomb in the water, it looks like an atomic bomb of pink matter exploded. I approve. ^ As it melts away, the bubbles start to form and the bath bomb separates. Here is where you start to see the blue center core that holds the glitter. At this point, the smell of lavender really comes forth but not in an overwhelming scent. ^ The bubbles don't last long, but the smell does. 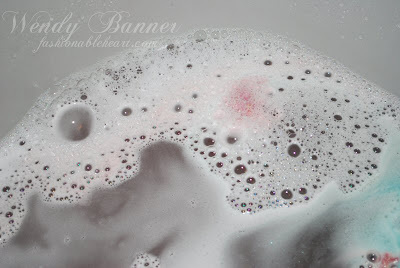 I loved how moisturizing this bath bomb was, though it did make the bottom of my tub very slippery. The smell was heavenly and just what I needed during that certain day (horrible day, to say the least). One thing I didn't care for? The glitter. Sure, it's pretty floating in the water but it was a complete nuisance to get it all off of my bath tub. You know the problem with glitter- it multiplies somehow. 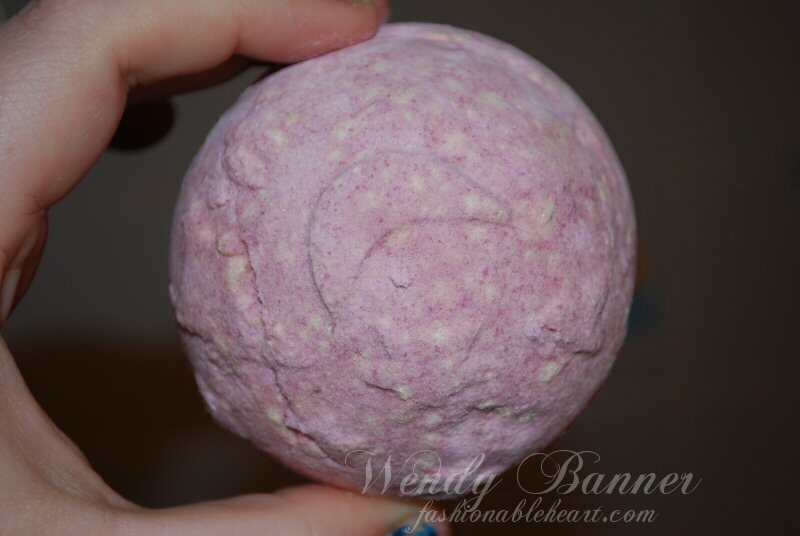 I know the trick of wrapping up the bath bombs, if you don't want anything floating in your water. I don't know how useful that trick would be with glitter, as I feel that it would still float out due to its size. I would probably repurchase this again, because I love the color, the smell, and the way it made my dry skin feel silky smooth. I get to go see the new movie tonight! Ahhh, are you gonna go watch it? I'm even gonna rock a bracelet my brother bought me before the first movie came out, it has a wolf, a crystal heart, a fork (for Forks), and a red apple :) I love it! I've never tried anything from lush except for one of their face products, but I may have to invest in a few bath bombs! I'm one of those people who never see a movie on opening weekend. As much as I love Harry Potter, I still waited a month or two after the films were out. I'll probably see Twilight sometime in January and during the day when all of the fangirls are mostly in school. ;D That sounds like an adorable bracelet! I have been wanting to try out the lush bath bombs but haven't had a chance for some reason I keep putting it off. Anyway looks awesome! !